Waterfall Walks | Bookworms | Kids VT - small people, big ideas! August in Vermont is all about getting outside. 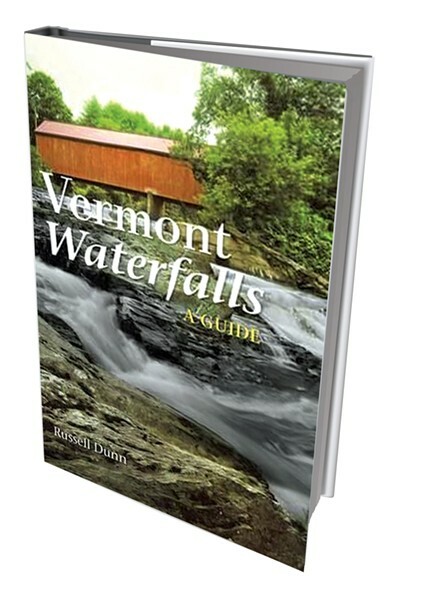 That's why we have just one book to recommend this month: Vermont Waterfalls. The new guidebook, by Russell Dunn, will help families explore the state's many cascades during the dog days of summer. Dunn, who lives in Albany, N.Y., has written half a dozen other waterfall guidebooks, plus hiking and kayaking guides, many of which focus on his home state. He has a soft spot for Vermont, though. "I must confess, both my wife and I have a love for Vermont and its pastoral setting," he says. "It can't be beat." Dunn has visited all 184 waterfalls described in his new book. We asked him to recommend some lesser-known ones that are fun, safe and easily accessible for families. This 125-foot-high waterfall on Otter Creek is approachable from both top and bottom. The 700-foot trail to the bottom, which Dunn deems the safest, passes several cascades and a dam. At the base of the falls, you can stand in a pool of water for an up-close view. A half-mile walk past big rocks leads to the bottom of this Furnace Brook waterfall, which Dunn describes as a series of five elongated cascades totaling 30 feet in height. Feeling energetic? There's also a more extensive, 1.7-mile hike. This roughly seven-foot-high waterfall on the Lamoille River will appeal to kids because of the rock formation close by that looks just like the head of a canine. "It doesn't require a lot of imagination to see it," says Dunn. The falls are just a hundred feet from the parking area, making it a great choice for tiny travelers. These falls, located in Old Mill Park, aren't particularly big, says Dunn, but they're pretty and great for a photo op. An easy hike running parallel to the Browns River leads you through wetlands and past several tiny cascades to an impressive gorge with small cascades and huge boulders. You'll also find an 1855 gristmill nearby that houses a historical society museum and an exhibit about Vermonter "Snowflake" Bentley, the first person to photograph snow crystals. This series of cascades on Tucker Brook is the only commercialized waterfall in the state. 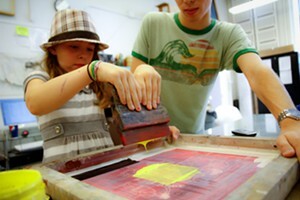 That means there's a $5 entrance fee for adults (kids are free). But "the owner has done a tremendous job putting in trails and making it very safe," says Dunn. The main cascade is 120 feet high and 75 feet wide and clearly visible from the road. The falls and walking paths are lit at night for evening excursions. The property is closed on Wednesdays and available to rent for weddings and other events.